Rmseed trading range for the day is 3935-4011. 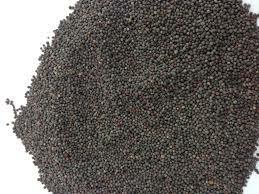 Mustard seed crushing rose 475,000 tons compared to 450,000 tons in September month. NCDEX accredited warehouses mustard seed stocks gained by 373 tonnes to 11510 tonnes. In Alwar spot market in Rajasthan the prices dropped -12.9 Rupees to end at 4050.75 Rupees per 100 kg.